When it comes to maintaining and managing technology properly, larger businesses traditionally have the advantage over small-and-medium-sized ones, as they have greater financial resources. In fact, many small businesses will postpone these activities to help preserve the flexibility in their budget. What these businesses need is a way to leverage the benefits of proactive IT maintenance without breaking the bank. Workstations that don’t work properly can get in the way of even the most diligent of workers. If the IT department is too busy to give them immediate assistance, where can your employees turn to? If your organization has a help desk solution, workers have a great way to get the assistance they need without having to wait. It’s important that issues are resolved as quickly as possible, so they don’t negatively affect operations. A help desk is the best way to eliminate time and productivity lost to technology troubles, and it gives employees the freedom to request assistance as it is needed. 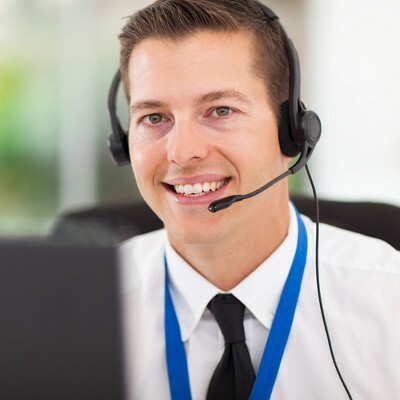 A help desk works by giving an employee who is experiencing a problem, the ability to quickly contact an IT technician that can, and will, resolve the issue. This is all done without disrupting anyone that doesn’t need to be involved because it is a direct line to assistance. A help desk solution serves as a great way to contain an IT issue from taking up more time and resources than it should. With a help desk, your staff won’t be distracted by a member of IT arriving on the scene to resolve the problem. This also allows your IT department to keep all hands-on deck and allow your technicians to focus on doing what technicians do best; innovating and creating new ways to optimize technology for your organization’s benefit. Plus, it is likely that your IT staff has more pressing obligations and responsibilities than setting up someone’s email. As a bonus, one major benefit of a help desk comes after an employee takes full advantage of it. Since the employee gets immediate assistance and isn’t being burdened by faulty technology, they’ll be able to get right back to work with minimal downtime. This means that you aren’t spending money to pay an employee for time that’s unproductive. Eliminating downtime is one of the key ways that businesses can save in operating costs, and a help desk helps you achieve this goal. In the long run, implementing a help desk solution for you and your staff will pay for itself. Less downtime equates to more productivity and more money. To learn more about how a help desk can help your business save money, reach out to Computerware at (703) 821-8200. One of the major reasons that a company forsakes implementing their own IT department is that it’s incredibly expensive to hire staff and accommodate their needs. They may feel they can save money by having employees repair their own devices, but this can be disastrous. Inexperienced employees can mishandle technology and data, which can lead to hardware failure, data loss, and so much more. The end-user’s DIY fixes may not be aligned with company policy, and when it comes to your solutions, wouldn’t it be better to just hire professional technicians who know what they’re doing? But what if you just don’t have room in your budget to hire an in-house IT technician? While it’s easy for SMBs to get stuck on the pain points of time and money, there is a solution for those who can’t afford, or can’t find, a proper in-house IT department. 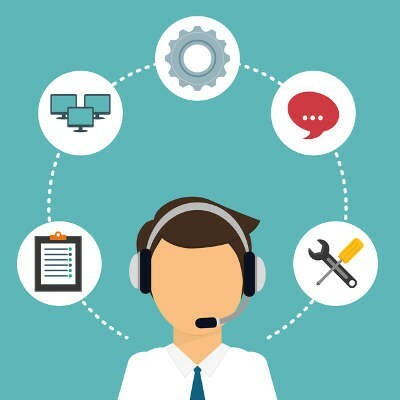 One of the best ways that you can maintain the same level of care and expertise is by implementing a help desk solution from Computerware. You can think of the help desk as a virtual environment where you can report issues, communicate with our IT staff, and get the support you need to make it through the work week. It’s a great asset that lets your business get all of the benefits of an outsourced IT department, without the hefty budgeting problems that come from hiring new and experienced technicians. 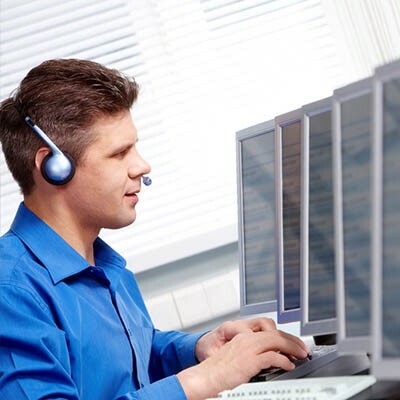 A help desk solution provides you with the tools you need to reach out to technical support when it’s needed. If your employees need help with resolving a specific issue, our techs are standing by to help your team resolve the problem. Our team can also remotely access your systems, which can help you avoid the costs of an on-site visit. Arguably the greatest benefit of working with Computerware’s help desk is that you’re not working with inexperienced techs. Instead, you’re working with established professionals who want to use their skills to help you succeed. After all, when you succeed, we succeed. Dealing with vendors can be frustrating, especially when you need very specific help, and it’s unavailable for whatever reason. Instead of jumping through hoops for support from your vendor, it makes sense to reach out to a single point of contact who can help you with any problems you encounter. Computerware can help to ensure that you waste as little time as possible working with vendors. So, what’s keeping you from achieving maximum operational efficiency? With a help desk solution from Computerware, we can guarantee that it won’t be your IT support. To learn more, reach out to us at (703) 821-8200.